Mon (£50): 1442 – Alan Reid, Fingask Drive, Kirkhill. Tue(£60): 5458 – George Burgess, Southside Road, Inverness. Wed(£70): 1930 – Alison Daun, Castle Heather Crescent, Inverness. Thu(£80): 1340 – William McFarlane, Balloan Road, Inverness. Fri(£100): 2485 – Raymond Jack, Rosedene Court, Inverness. £500 WEEKLY WINNER: 2529 – James Hay, Lewes Lane, Tain. Mon(£50); 0263 – Michael Fraser, Invercarron, Alness. Tue(£60): 1604 – Moira Mitchell, Groam Farm Cottage, Kirkhill. Wed(£70): 5438 – Mrs C King, Evan Barron Road, Inverness. Thu(£80): 1807 – Siobhan Elrick, Old Edinburgh Road, Inverness. Fri(£100): 2480 – Andrew Maclean, Woodside of Culloden, Inverness. £500 WEEKLY WINNER: 4752 – Mrs Jacqueline MacBeath, Woodside Farm Drive, Inverness. Mon(£50): 1265 – Harry Black, Priory Road, Beauly. Tue(£60); 4852 – Mr H K Campbell, Ardmore, Edderton. Wed(£70): 0090 – Lynne Fettes, Leachkin Drive, Inverness. Thu(£80): 0151 – Mrs S Mill, Torbreck Farm Cottage, Inverness. Fri(£100); 5005 – Tony Grant, Firthview Avenue, Inverness. £500 WEEKLY WINNER: 1529 – Mrs Jill Jones, East Mackenzie Park, Inverness. Mon(£50): 2170 – Lisa Ross, Tobermory Place, Inverness. Tue(£60): 5826 – Craig Fraser, Dovecote Park, Inverness. Wed(£70): 0130 – Mr C Fraser, Highfield, Muir of Ord. Thu(£80): 1186 – Mrs Anne Bell, Albert Place, Maryburgh. Fri(£100): 1605 – Mr J D Urquhart, James Watt Road, Glasgow. 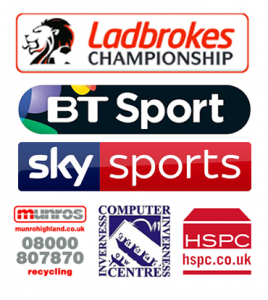 £500 WEEKLY WINNER: 6215 – Mr A Maclean, Castle Heather Road, Inverness.